Over the last 50 years or so we have seen some huge advancements in agricultural technology, which for the most part is a pretty good thing. I mean, we no longer have to grow all our own vegetables, what we choose to eat is no longer dictated by the changing of the seasons, and a bad winter doesn’t mean we go without food. Unfortunately, this progression has also come with some negatives – namely the fact that we have seen a huge increase in our consumption of highly processed carbohydrates, which have been shown to wreak absolute havoc with our digestive systems. And that is exactly where probiotics enter the discussion. It may be hard to believe, but at any one time, our digestive system is full of billions upon billions of numerous types of bacteria (making up what is known as our ‘microbiome’). 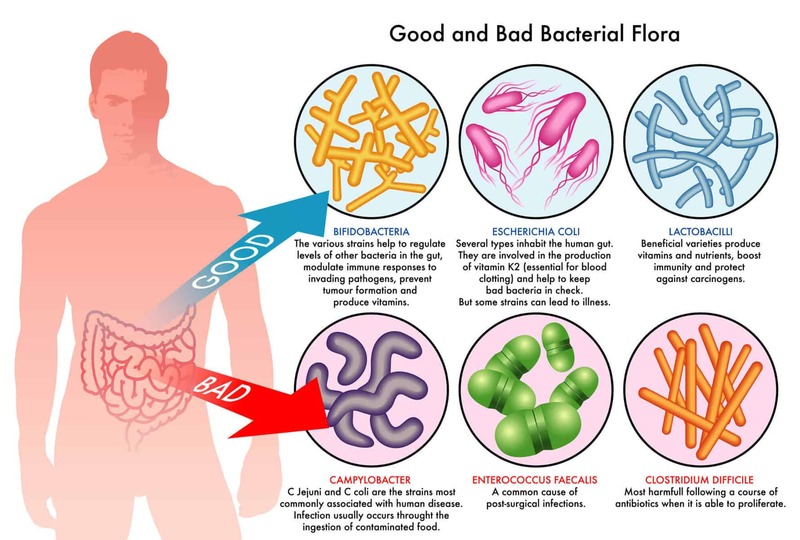 In a simple sense, these bacteria can be classified as either good bacteria (because they enhance health and digestive function) or bad bacteria (because they hinder it). 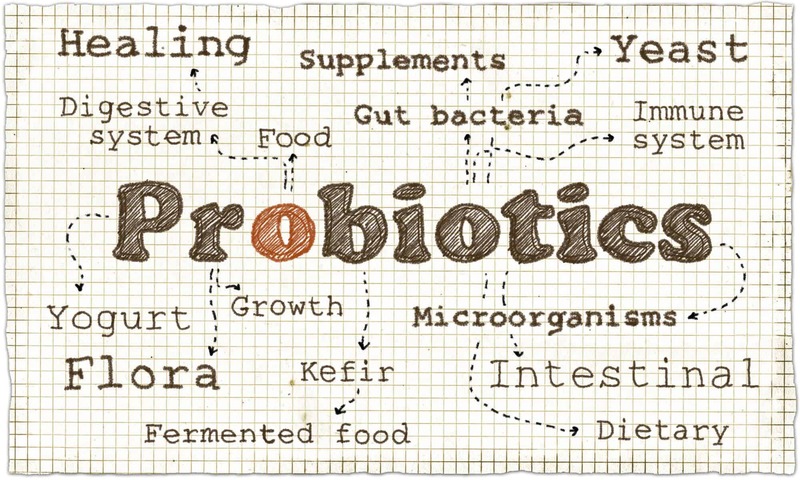 All in all, probiotics are an extremely important part of the human body. What are the benefits of taking a probiotic supplement? As previously mentioned, with the advancements in agriculture that we have seen across the world, we have also observed some associated negatives in regards to our diet. First, we consistently consume food that is both highly processed and physically abrasive (think bread, pasta, refined grains, and pretty much all fast food). This food can physically irritate the bacteria within the gut, causing them to malfunction and even die. Second, our diets have very little natural variability – we tend to eat the same things on a regular basis. Considering that much of the bacteria found within the gut comes from the food we eat (it’s both beneficial and unavoidable), because of these two key factors we actually see a weakening of bacterial diversity within our digestive systems. This decline leads to a deterioration in the number of bacteria found in the gut, while slowly eliminating entire strains of healthy bacteria from our systems. This, in turn, offers us with an excellent way to improve upon any digestive issues that we may have and enhance our ability to absorb nutrients from the food we eat, all while boosting general health and well-being in a big way. Probiotic supplements are a relatively new face in the large and interesting world of supplements. As a result, there are few supplements that genuinely offer the quality needed to boost gut health and function. This is why we have done all the groundwork for you. 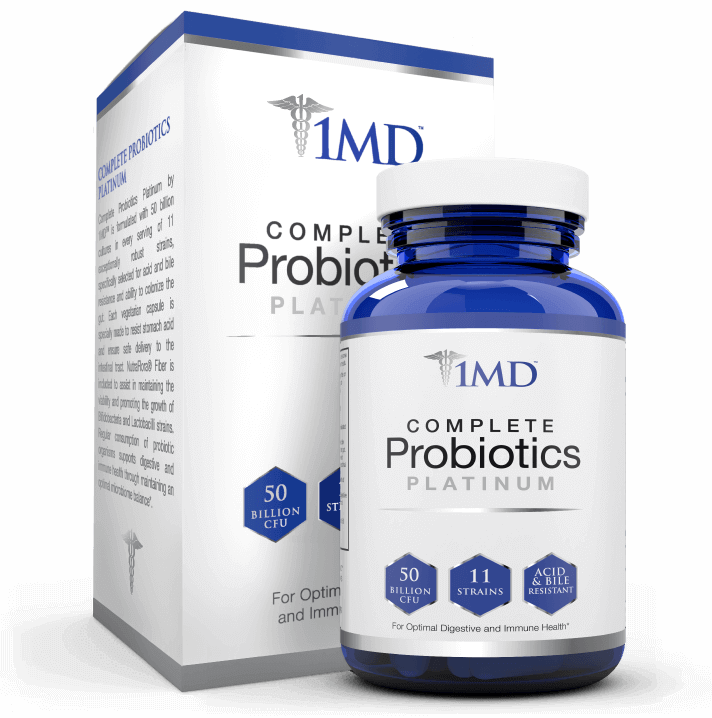 The three options listed in this article are what we believe to be the best probiotic supplements available on the market at the moment, each offering us an excellent option in their own right. 1MD is one of the most well-regarded supplement companies on the planet right now, consistently putting out high-quality products that use scientifically supported ingredients to guarantee results. And you better believe that their probiotic supplement is no different. Complete probiotics platinum by 1MD provides us with an incredible 50 billion live bacterial cultures across 11 unique strains per serving, while also including a potent dosage of prebiotic fiber to enhance their health and growth after entering the gut. You could not ask for anything more in a prebiotic supplement. Bio Schwartz is another supplement company that has been producing great quality products for a very long time, building an excellent reputation in the process. 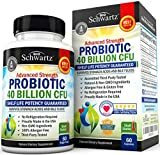 With this in mind, their probiotic supplement offers us with another excellent choice which provides us with a massive 40 billion bacterial cultures per serving. As an added bonus, this particular supplement also uses a unique stomach bacteria protection system, delivering the capsule deep into the intestine before it dissolves. This is another fantastic choice. Our final probiotic supplement by Vitamin Bounty is another great choice for those looking to boost digestive health and function, while also enhancing physical and mental wellbeing. 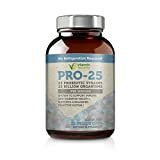 Combining 13 unique strains of bacteria and providing 25 billion cultures per serving, this is a diverse and potent option that ensures the support of your overall digestive health. Similar to the other two supplements listed, this option uses a delayed release capsule to ensure the bacteria is delivered throughout the entire digestive system. Probiotic supplements are one of the most effective ways to limit the negative impact that the modern diet has on our digestive health. They repopulate the gut with healthy bacteria, enhance digestive function, and improve almost all aspects of health. They are one of the most effective supplements on the planet. Again, the three options listed in this article are, in our opinion, the best probiotic supplements currently on the market. 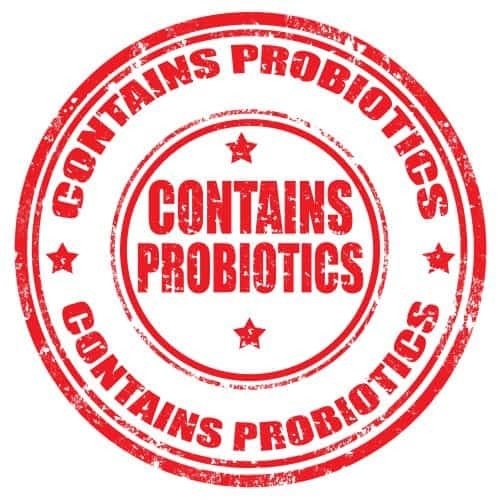 If you have had any experience using probiotic supplements to improve health we would love to hear about it, so drop us a comment and we will get back to you ASAP!